Available for 1,600 yen for a limited time. 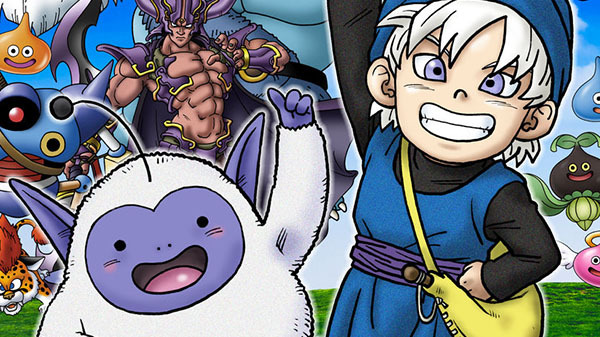 Following its announcement earlier today, Dragon Quest Monsters: Terry’s Wonderland SP is now available for iOS via the App Store and Android via Google Play. It will cost 1,600 yen until November 13, after which it will cost 2,400 yen. Controls Optimized for Smartphones – The screen layout has been optimized in order to play the game as comfortably on smartphones as you would previous Dragon Quest Monsters series titles. By placing the required panels at the bottom of the screen, you can comfortably play with one hand. Numerous New Monsters Added – Even more monsters have been added to the 2012-released remake Dragon Quest Monsters: Terry’s Wonderland 3D, including monsters from Dragon Quest XI: Echoes of an Elusive Age, for a total of over 650 monsters. Carefree Grinding: Auto-Battle and Effortless Adventure – By selecting “Auto-Battle” from the menu settings, when you get into a battle with a monster, the battle results will appear immediately without any operation from the player. Also, with the “Effortless Adventure” feature, which can be used at fixed intervals, you can automatically adventure to the deepest level of a designated dungeon. Both of these options will still yield experience points and gold, allowing you to efficiently train your monsters. A Previously Unseen Area Appears – Rumor has it that a previously undiscovered path that leads “even deeper” into a dungeon has opened. Since you can battle previously unseen monsters and formidable foes, be sure to look out for this secret area. Test Your Strength Against Other Players’ Parties – In the “Online Foreign Land Masters” mode, Foreign Land Masters are downloaded into a dedicated arena each day, where you can battle against them. The Foreign Land Masters’ parties that appear here are made up of monsters raised by other players, so try your strength against them when your party becomes strong enough.